Jake Fiddy asks whether today is his birthday or not? Check our Jake Fiddy with Nicky and Dorella tonight! Fabulous Jake Fiddy copes with balloons, streamers and pool noodles — with Tinia Creamer and Dorella Conner Tuckwiller. “A few weeks ago I made a trip to a horse auction in Jackson County, WV with other volunteers from Heart of Phoenix Equine Rescue. Our plan just to save one or two, the ones most in need. We pulled Neo, a saddlebred that I recognized the minute I walked in the place. We also pulled The Fabulous Jake Fiddy. Two found a safe place to go. They were among many others whose fate may not be as pleasant. I remember being a horse crazy little girl. I had horses. But buying one seemed so unaffordable. Horses sold for $1,500 or $2,000 often times much more. Even the local ad bulletin you’d not find a horse priced under $500. Now attend any auction and you’ll see – horses – even those with papers – have no “value”. Literally the TACK sold prior to running the horses through the sale – goes for MUCH more than the horses themselves. I’ve been to several auctions now in several states. I’ve been to huge auctions and small auctions. The story is the same at each. Part of the problem is casual breeding. Accidental breeding. Intentional breeding with the hopes of making a buck even if the bloodline isn’t there to justify the activity. Many mares at the auctions are pregnant. Just this week at one of the bigger auctions a horse gave birth AT the auction. It is sick. But the other problem is lack of training. Simply put – failing to train your horse on the basics – is one of the most cruel things you can do. Unless you intend to keep the untrained – unhandled horse for it’s lifetime, you are giving the animal no opportunity, no chance to succeed. Neglect is not simply lack or food, water and shelter. Neglect is allowing a horse to grow up with no preparation for the tasks that will be expected. If you breed horses then YOU are responsible for the results. If you do not have the time, willingness or knowledge to properly train the offspring to be ridden or handled then you do not need to be creating life. Auction pens are filled with horses that are not broke to ride. Many don’t even know how to lead. These are not foals. These are adult horses that have not been handled. They sell for $5 or $10 each. At the auction in Jackson County, WV the highest selling horse went for $1,250. He had a long pedigree and had been shown regularly. He was spectacular. A few others sold for a couple hundred dollars. All of those were broke to ride and gentle. But the majority – The Fabulous Jake Fiddy, for example – sold for under $100. He was not ridden through the sale. He was herded into the room with a bunch of other horses that seemingly knew nothing. 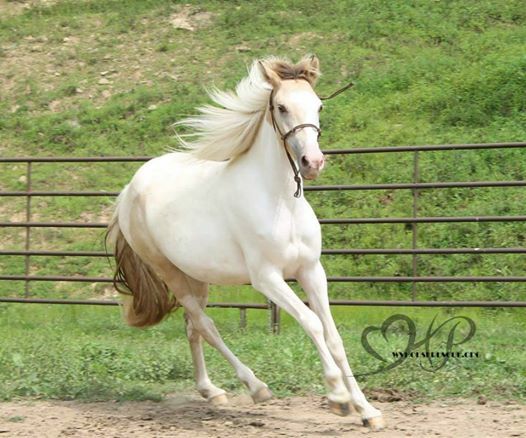 Look at any of the horse sale pages on Facebook or check out Craigslist. Post after post says “green broke” or “not broke to ride” or one that I saw today was for a mare in her teens, a broodmare, that was not broke to ride. The horse market is not thriving like it was when I was younger. As it is, most horses, even those with papers and a lengthy show history have no “value”. Adding hundreds of thousands of unhandled, unruly, grade often unaltered males or pregnant mares to the pool is so very irresponsible. What life do you expect for the animal that you have bred? If you won’t take responsibility to do the work to train the horse, what makes you think that someone else will? Is it really someone else’s responsibility to clean up a mess that you have created? It baffles me that irresponsible breeders presume that people are going to line up to purchase a horse that is not rideable (or driveable). Add that the horse is not gelded. Or has been out on pasture and hasn’t been handled…and I’m sure that people will be flooding you with high dollar offers. It is insane folks. It truly is. People will surely make arguments that horses cannot be broke to ride until a certain age. This is true. However you can take the time to lay a foundation. You can teach the animal to respect humans, to do basic activities that will be expected. You can take the responsibility to make sure – at that time – the horse goes to someone equipped with the time and skills to teach the animal properly. There aren’t many of those homes. So stop breeding grade horses – casually – with no regard for their future. Rescues like Heart of Phoenix and others across the country can only help a limited number of horses. It isn’t feasible to keep horses in rescue for months or years. Funding is limited. Foster homes are limited. Presented with a group of horses that need saving, the ones that are broke to ride will most likely be chosen over those that are buckwild. Why? Because it takes committed knowledgeable volunteers months of daily training to get that horse to a point that it is safe. In some cases it requires the rescue to spend money on training before the horse is adoptable. That untrained horse takes up time and real estate that could be used to save many other horses (rideable horses) in the same amount of time. In most cases – as sad as it is – the world has nothing to offer a horse that has not been trained. If you are breeding horses for recreation or through negligence, you are the problem. If you are sending unhandled horses out into the world – through random ads or auctions or otherwise, you are the problem. If you have a horse that you cannot keep for it’s lifetime and you allow it to reach adulthood with no training, you are the problem. Face the facts. Take responsibility for the situations you create or don’t create them in the first place. 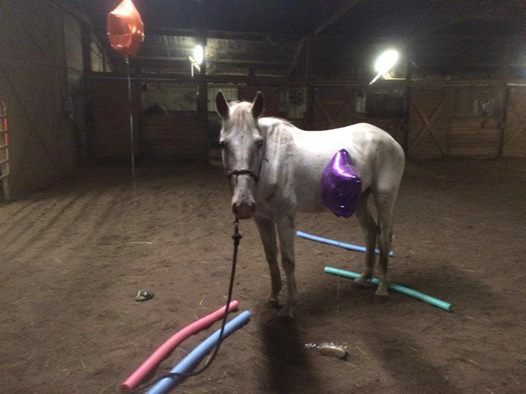 ” – From HOP Volunteer and Foster, Nicky Walters, who (Along with Dorella T) spends hours after work every single day teaching horses HOP has rescued that came in with too little knowledge to ever hope to be adopted otherwise. HOP has seen some remarkable results with Essential Oils. I was skeptic at first, but I am not anymore. 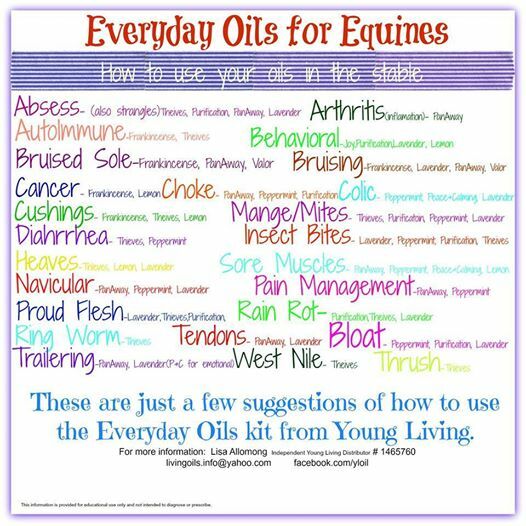 We are going to become a wholesaler for Young Living oils soon http://www.youngliving.com/en_US to be able to buy the oils for the rescue at lower cost and also to allow us to possibly fundraise with sales, as well! Join us today at charity yoga at 2pm. If the group is small you will get a restorative treat, if the group is large you will get a Hatha treat. It’s a win, win, cause no matter what we teach your donations go to Heart of Phoenix equine rescue!! Heart of Phoenix Equine Rescue, Inc is becoming well known for its efforts on behalf of horses who need help. But what many people fail to realize is that we also help people. How do we do that? 1. Sometimes we send TSC gift cards to those having a little difficulty in buying feed temporarily. 2. Sometimes we assist with a trim or a teeth floating. 3. We have taken a horse in that the owner absolutely adored but lived so far out that it was impossible to get a farrier out there. 5. Sometimes we help owners going through a divorce or bankruptcy. These are usually horse owners who adore their equines but can no longer care for them. 6. Sometimes we assist an owner in burying a beloved best friend. 7. Sometimes we provide education for horse owners or networking for them to owner-place their horses. These are just a few of the way that we are there for people. We DREAM of a day when our follower donations are SOOOO BIG that we can accommodate all of the legitimate requests for help that we get each day! For now, we do what we can. Heart of Phoenix is primarily a horse rescue, but we cannot affect real change for horses in the Tri-State Area unless we go the extra mile and provide support for the human side of the equation. This little girl has an approved application! Looks like Spicy will be heading to Georgia soon! How exciting is that?!? — with Jenny Moore Sutherland. Thank you so much for your continued support! Like always any donations would be very much appreciated. Don’t forget about our 2nd Annual Horse Show! October 25, 2014!